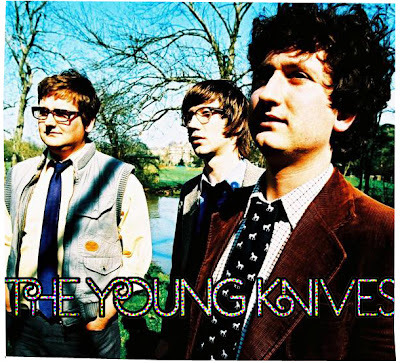 There’s no proper explanation really, as to why I’d feature this particular band that goes by the name of the Young Knives; not exactly the type of band that I’d warm up to straight away. But, do read on, because I’ve in store a reason that’s well worth it. Originally from Ashby-de-la-Zouch, (I’ve yet to learn the precise pronunciation) Leicestershire, England, the Young Knives are essentially an English Indie-Rock band otherwise also known as a post-punk revival band - what is post-punk revival anyway? Unconventional or as un-punkish as it may sound, the band seems to have a strange likeness towards tweed outfits and due to this; they successfully create accessibility for a wider portion of the masses to their brand of energetic punk-rock music. else fails / I am the Prince of Wales / That decision was mine… and on and on he croons along. You can’t separate the idiosyncrasies, somewhat quirkiness that are audible in the tune, but what remains clear is that without any of those minutiae, the song would’ve probably faced a harder time to appeal to listeners among the sea of overcrowded musicians. Absolutely love, I highly recommend.